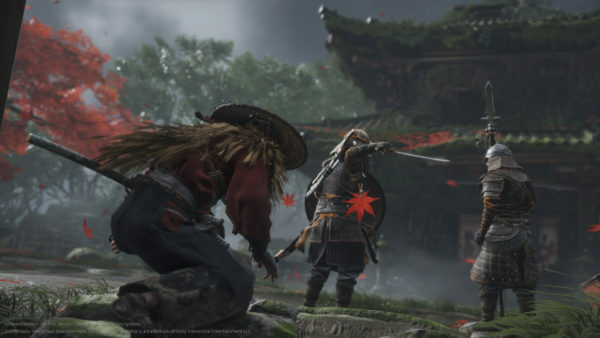 Sony gave us our very first look at Ghost of Tsushima during their press conference, and boy what a look it was. The presentation started with our hero, the currently unnamed samurai, making his way out of a dense bamboo forest and topping a hill to see an absolutely stunning landscape of hills covered with wheat, and a city on fire in the background. Traveling through forests and temples, the presentation ended with an utterly fantastic duel beneath a tree, shedding its blazing red leaves. The leaves shifted as characters moved through them, and more constantly rained down from above. The whole scene was reminiscent, in a way, of the final boss battle in Metal Gear Solid 3. It’s easy to say that Ghost of Tsushima is one of the best looking PS4 games yet, if not the best, and the demo during Sony’s conference was one of the highlights of the entire show. 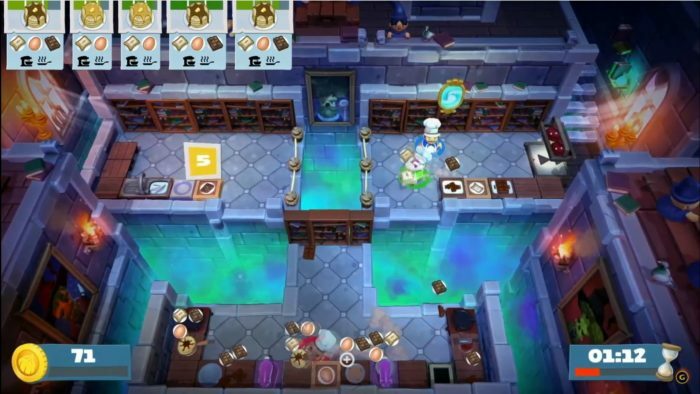 Dragon Quest has always had a unique art style, due mostly to the character and art design by Akira Toriyama, the famed creator of the Dragon Ball series. Dragon Quest XI, however, is the realization of what Toriyama’s art style can really be in a video game. The game sports a bright and cheerful cel-shaded aesthetic, with some fantastically detailed character designs, right up to the seams and threading on their outfits. The scale of Dragon Quest XI is so much more than the series has done before, letting you explore enormous castle towns, arid deserts, and dense forests. 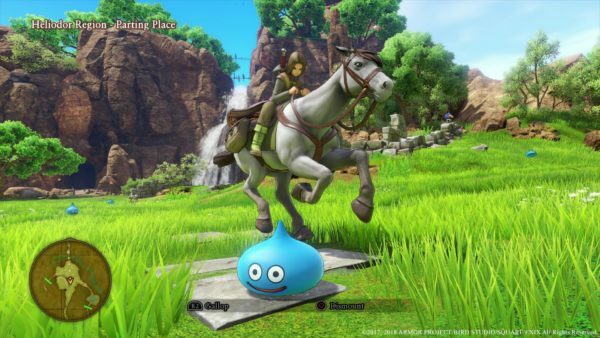 You can read more about it in our hands-on preview, but Dragon Quest XI’s vibrant art style easily makes it one of the standout games of E3, in terms of visuals. 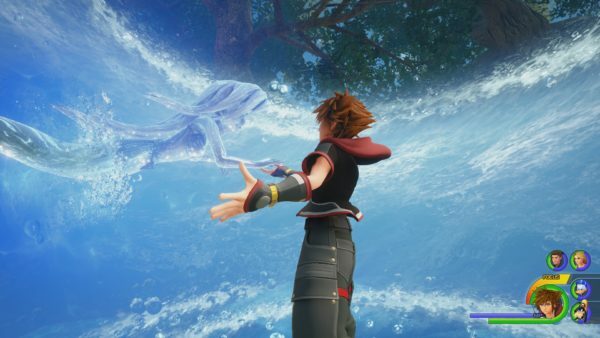 Every trailer we see for Kingdom Hearts III further solidifies just how darn good it looks, and this is especially true after our hands-on time with the game. The amazing thing about Kingdom Hearts III is how each and every world adapts to the art style of its respective Disney movie. In the Toy Story world, cutscenes look like they’re ripped right out of a Pixar movie, and characters move and sound much like their film counterparts. The same can be said for the Hercules, Frozen, and Tangled worlds. Even the newly announced Pirates of the Caribbean world sports characters that look eerily realistic, a far cry from the awkwardly animated ones of Kingdom Hearts II. Kingdom Hearts III is making great use of the Unreal Engine, and the particle effects onscreen can almost be overwhelming at times. Now we’re just anxious to see what the other worlds, like Big Hero 6, will look like. Sony opened their E3 press conference with a brand new look at The Last of Us Part II, and it should come as no surprise that it looked fantastic visually. 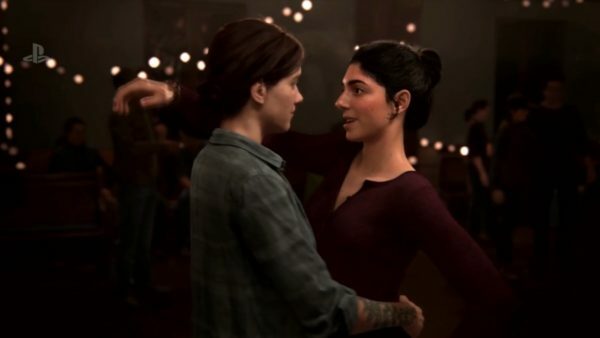 The demo showed two very thematically different scenes, with the first showing Ellie in some kind of small-town dance hall. 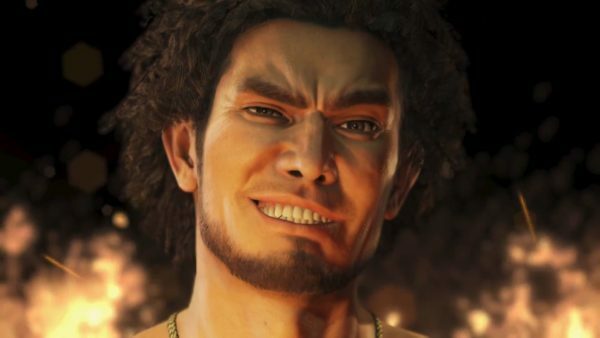 The facial animation is even better than the first game, featuring detailed faces that look startlingly realistic. We’re treated to a video game kiss that, unlike most, isn’t horribly awkward to look at, before being transported to a dark forest where Ellie is being hunted by a group of mysterious men. Tonally, this second section is dark and oppressive, perfectly matching the extreme violence happening on-screen. The demo seamlessly moves between what looks like scripted sequences and actual gameplay, before ending in a brutal display as Ellie decapitates a man, and as the camera swings around we switch back to the quiet dance hall. We may not have had any word on when The Last of Us Part II is coming out, but it looks more impressive than ever. 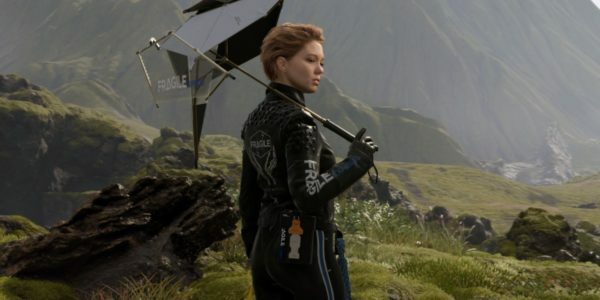 Death Stranding’s trailers have already been pretty impressive, but our first look at gameplay showed us that quality translates to in-game as well. Our look at Death Stranding was a bit different this time around, as we saw Norman Reedus’ character, Sam, travel across gorgeous alien landscapes filled with green hills, destroyed buildings, sandy martian-like environments and more. The first part of the trailer felt very much like a Fumito Ueda game, showing a lone figure traversing a gorgeous, but dangerous environment. However, eventually, things do take a twist toward a darker route. The rest of the trailer is filled with two new female characters, weird babies in tanks, and insanely creepy invisible creatures. Basically, it’s a Hideo Kojima trailer. 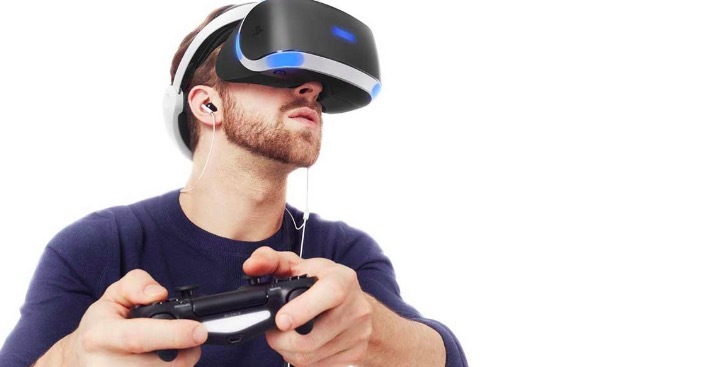 Like the other Sony games on this list, Death Stranding nails its facial capture, and the imagery we see is unlike anything else. Despite still being mysterious, that incredibly unique visual identity is what keeps making Death Stranding look so darn appealing. For years, fans have been anxiously anticipating CD Projekt Red’s new project, Cyberpunk 2077, and E3 2018 gave us our first real look at the game. Microsoft ended their press conference with a big in-engine trailer for Cyberpunk, showing a vibrant, neon-filled Cyberpunk world, very much unlike the golds and blacks of games like Deus Ex. Sadly, this is all the public would see, but in a behind-closed-doors demo we got an even deeper look at the game. 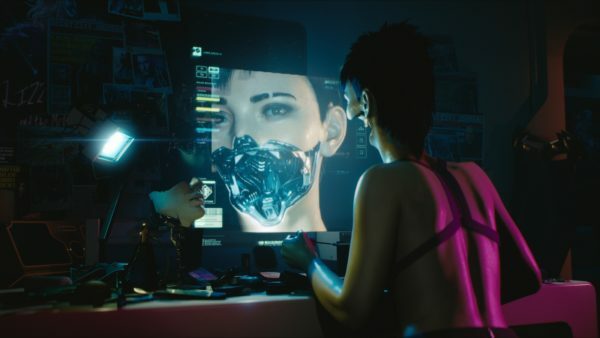 In our preview, we said Cyberpunk 2077 fell somewhere between Blade Runner and Ghost in the Shell, a world that feels dystopian and hopeless, but also vibrant and alive. It’s the polar opposite of The Witcher 3, but that’s not a bad thing. Cyberpunk’s setting, Night City, is a vast and dangerous network to navigate, and hopefully, the public will get an even deeper look at one of E3’s standout games soon. Last year’s Assassin’s Creed Origins was one of the most fully realized worlds we’ve seen in video games. Ancient Egypt was gorgeous, fascinating, and dangerous all at once, and now the series is taking us even further back in time, to Ancient Greece. Odyssey seems to be using the same graphical engine as Origins, which means it’s quite nice to look at. Even in just the reveal trailer, we’re treated to scenes of the colorful Greece countryside, deep blue oceans, a raging volcano, and snowy mountaintops. 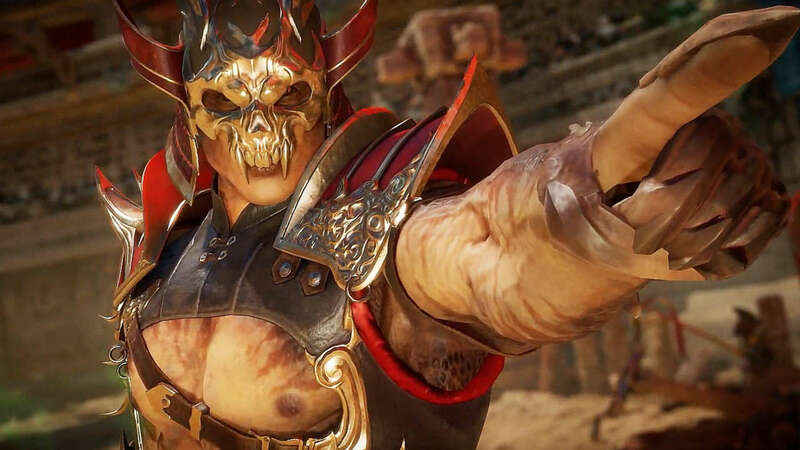 There’s clearly quite a bit of variation in Odyssey’s setting, and the expanded romance options and systems mean there’ll be even more to do. 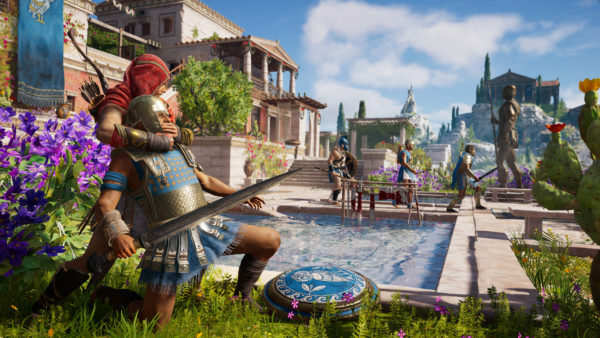 Assassin’s Creed games have never been slouches in the graphical department, but Odyssey may just be the best looking game in the series yet. Perhaps the biggest surprise from this E3 was the Resident Evil 2 remake, an announcement dropped out of nowhere right in the middle of Sony’s press conference. The trailer started out mysteriously with the camera taking on the first-person point of view of a rat. Of course, before long, we see a zombie gnawing on a human and are launched into a sequence of shots. 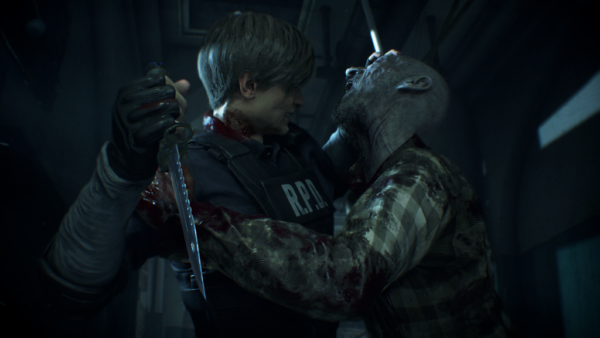 The Resident Evil 2 remake isn’t just an update, it’s an entire reimaging of the original game. Leon, Clair, and other characters are sporting brand new looks with some impressive facial animation. Environments have a phenomenal new layer of quality to their look, while still sporting the tension-filled aesthetic of the original. 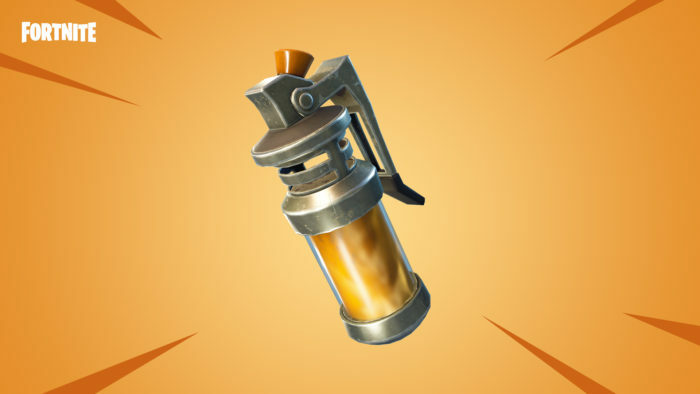 A gameplay demo would, later on, show us some impressive details, like dismembering zombies based on where your shots land, or the fact that bite marks Leon receives from zombies stay on his body. Capcom has clearly put a ton of work into this remake, and fans can’t wait for next January. Microsoft had a big conference filled with announcements, although only a few were for Xbox exclusives. 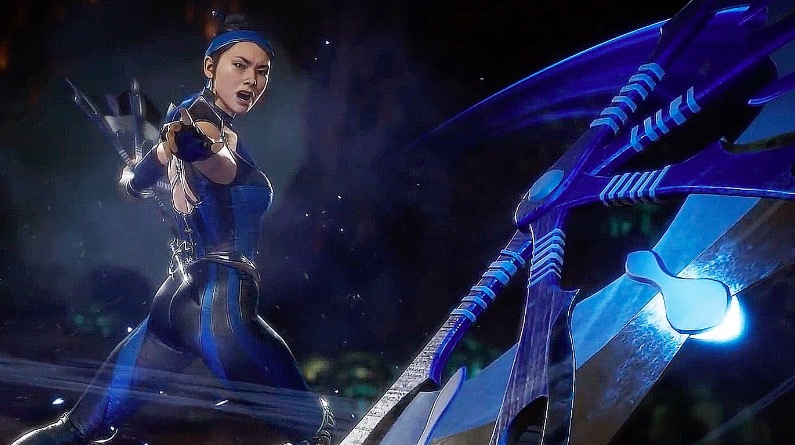 The standout among those announcements, however, was the trailer for Gears 5, which struck a much different tone than what we’re used to. Right off the bat, the trailer strikes an emotional cord, showing us that the main characters from Gears of War 4 have grown a few years older. 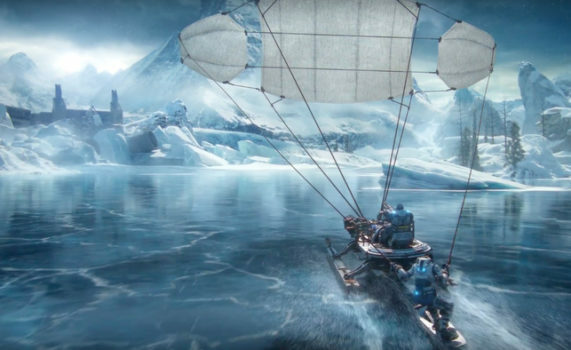 After a heated exchange, we see a few scenes of exploration, with the characters gliding over an ice lake, a stunning icy forest, and dark caves. 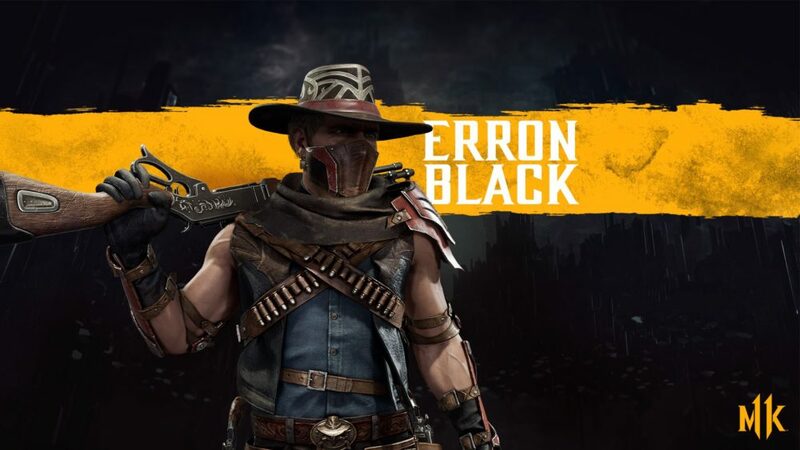 Of course, we’re also treated to some horrific looking new enemies, that make Gears 5 look almost more like a survival horror game than straight-up action. It would have been nice to see more of Gears 5, but the change in look and tone for the game was one of the best surprises of Microsoft’s E3. 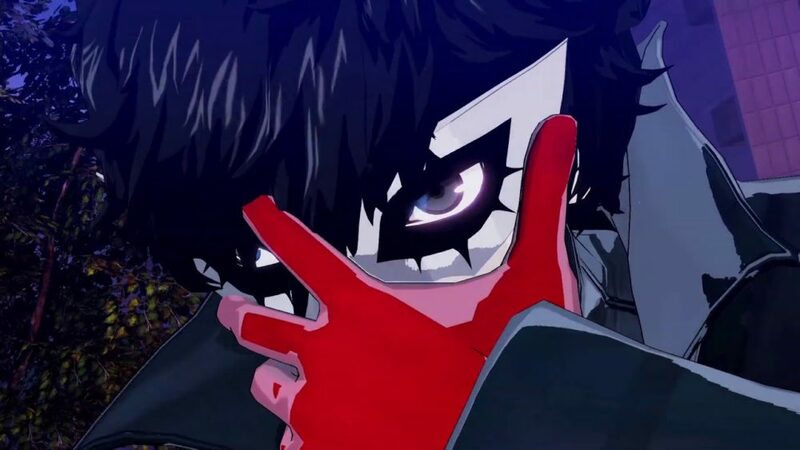 Going into E3, we knew Nintendo’s main focus would me on the new Super Smash Bros., but we had no idea the big announcement that was incoming. Every character ever featured in the series will return in Smash Bros. Ultimate, and the game is much more than just an enhanced version of Smash 4, it’s an entirely new experience built from the ground up. 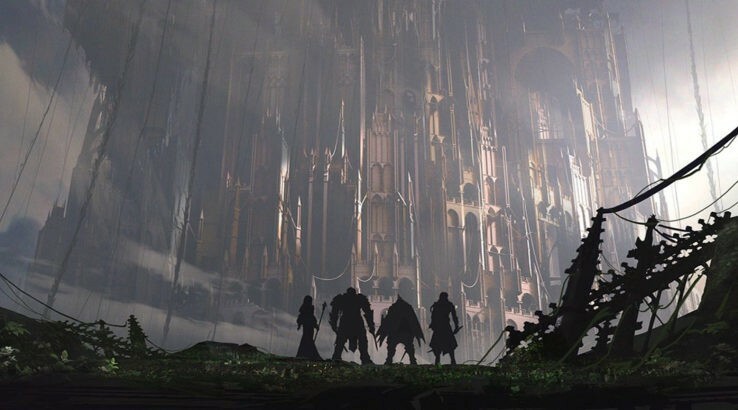 This is best illustrated by the absolutely gorgeous art style of the game. There’s an absurd amount of detail on each and every character in the game, right down to the denim in Mario’s overalls or the fur on Fox McCloud. Every battle is filled with vibrant particle effects, and the backgrounds on each map have some serious depth and detail to them. 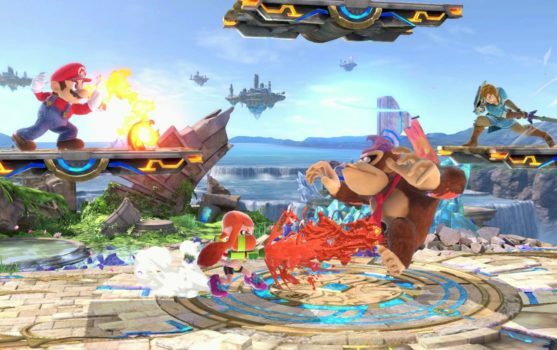 The Wii U version of Smash Bros. was impressive, but Ultimate adds another layer of polish onto everything. After our hands-on time with the game, we walked away impressed by not only the style of Ultimate, but the sheer breadth of its ambition.